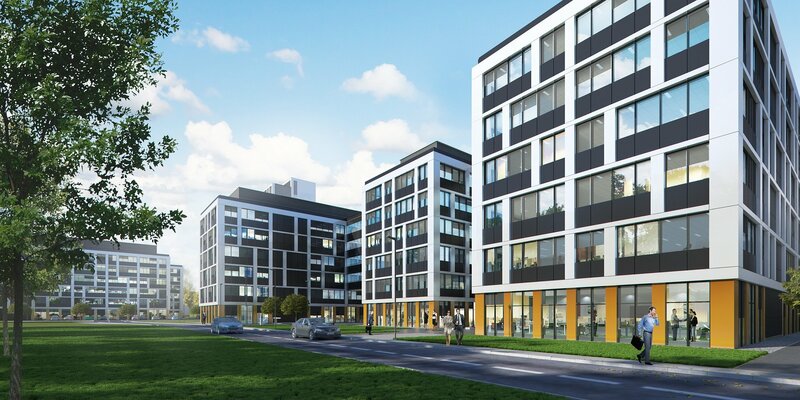 Vastint Poland has signed a lease agreement for 15,000 m2 of office space with Credit Agricole in Business Garden Wrocław. The company will occupy two buildings that are being constructed within the second stage of the investment. The new location will be the head office of the Credit Agricole Bank and the European Leasing Fund as well as CA Insurance. During the negotiations, the tenant was represented by CBRE, real estate advisor. Roger Andersson, Managing Director Vastint Poland commented: “Credit Agricole is one of the biggest tenants of Business Garden Warsaw. Therefore we are delighted that such a prestigious client trusted us again and has chosen Business Garden Wroclaw for its head office. We ensure that our tenant is provided with optimum conditions for their further business development. The functional and sustainable office buildings will be delivered to the client in the second half of 2019”. Olivier Constantin, First Vice President of Credit Agricole and Senior Country Officer of Credit Agricole Group in Poland, responsible for the development of all companies in the Group: European Leasing Fund, CA Insurance, Amundi TFI said: “We decided to consolidate the office space of the Credit Agricole Group in Wroclaw and thus strengthen the synergy effect. We believe that the modern work environment will have a positive impact on our innovation and efficiency and will attract new talents. We want to emphasize our long and consistent presence on the local market in Wroclaw and strengthen the awareness of CA Group strength in Poland”. Paweł Boczar, Associate Director, Advisory & Transaction Services, Office, CBRE: „Credit Agricole's consolidation of space is one of the most strategic decisions for the development of the organization, and also crucial for the development of the office market in Wrocław. Under this advisory process, we have sought the most optimal solutions for our client. Merging six locations into one central location and creating a workplace for nearly 3,000 employees requires a precise work place strategy, an examination of the staff’s needs, and development of a new organizational culture. The carried out consultation process will guarantee the Credit Agricole Group both cost optimization and great benefits for the entire business”. 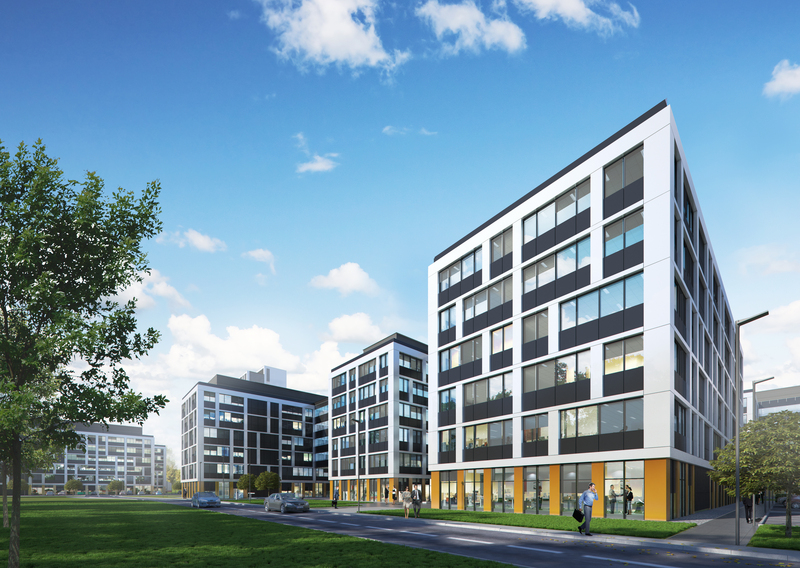 Business Garden Wroclaw is located on Legnicka Street, in the vicinity of the shopping and entertainment center Magnolia and the Mikolajów railway station, and in close proximity to the city centre. Ultimately, the complex will consist of nine multifunctional buildings with a total leasable area of 117,000 m2. Office space has been designed to accommodate individual needs of tenants with optimal exposure to sunlight and easy space adaptation options. The office building is surrounded by an extensive garden with relaxation and work zones, where tenants may rest or practice outdoor sports. In addition to the restaurant's pavilion located in the garden, the complex will provide a number of additional amenities for tenants, e.g. a medical centre and a kindergarten. Business Garden was awarded LEED Platinum certificates. The tenant portfolio includes leading international and Polish brands such as Becton Dickinson, Capgemini, Dolby Laboratories and Ceneo.